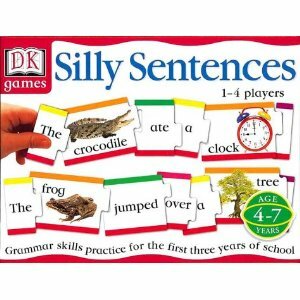 I pulled out Silly Sentences today and it was a hit! I've used this with my own class and they love it! 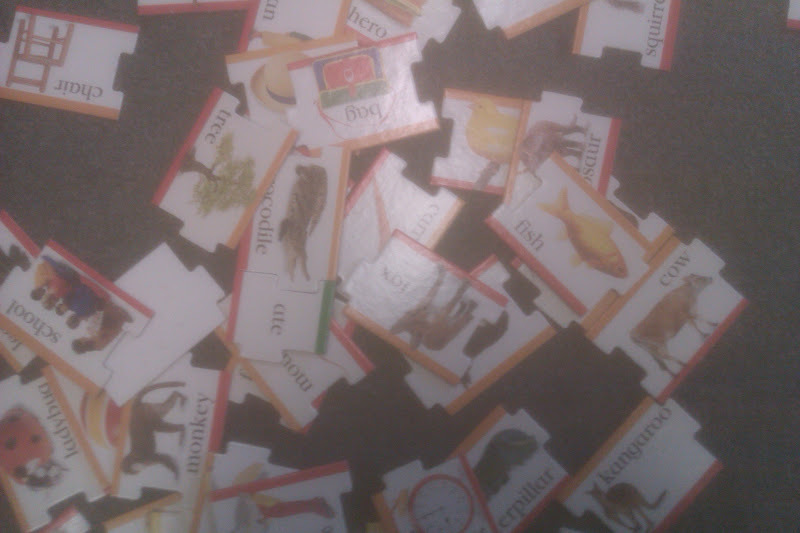 The game gives you little puzzle-type pieces with nouns, adjectives, verbs, prepositions, articles, and punctuation. 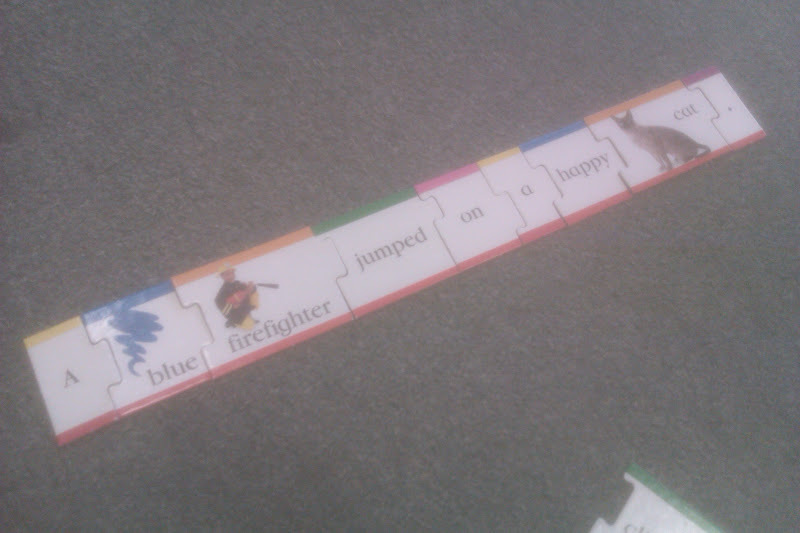 Each of the pieces has a little notch in a specific spot, so you have to create a sentence in a specific order. This prevents ridiculous mish-moshes of words. You can use the words to make sentences, either "silly" or normal. However, who wants to make a normal sentence when you can say, "A blue firefighter jumped on a happy cat"? All of the nouns have pictures to accompany them, and some of the adjectives do also. It's great for vocabulary building! I haven't used it to teach parts of speech, but you can definitely do that too since each different part of speech is color-coded. Hey - I just used this today also! I used it with my kinders and my firsties. Ahead of time I separated the parts of speech. Then when I worked with a small group, I passed around first the nouns, then the adjectives and then the verbs. The students had to reach in each bag and pull out one of each. Then they had to create a whole sentence using those three words. After sharing the sentence with the group, they had to write it down and then illustrate. Yes, they much preferred the silly sentences to more normal sounding ones! I forgot about this game. I'll have to pull it out.